Durham University is a large and varied creature- it is a world-class researc h institution and teaching establishment, and a brilliant place to study. The University is led by University Council, which has overall responsibility for strategy and future planning, and the Senate, which is ultimately responsible for all academic matters. On a day-to-day basis Durham is run by the University Executive Committee (for more information). The other important university-wide institution is the Durham Students’ Union (DSU), which was founded in 1899 and is based in Dunelm House on the east side of Kingsgate Bridge. Dunelm House has several useful facilities for students, including the well-stocked Riverside Bar and Cafe and a collection of bookable meeting rooms. The DSU is much more than just a building: roughly 200 university societies are attached to the DSU, along with a student newspaper, magazine and radio channel. You can have a look at the societies that the DSU has to offer here. 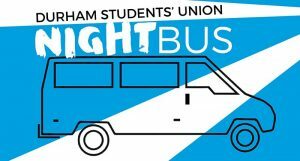 The DSU also runs the Durham Nightbus, raises considerable amounts of money for charities through the Durham University Charity Kommittee (DUCK) and offers a wide range of advice to students on issues such as personal finances and tenancy agreements. The most important function of the DSU, however, is that it represents students to the university. The DSU’s Faculty and Course Reps provide representation for students to their academic faculties and departments and the DSU President sits on University Council, the highest committee within the university, to represent the student body. It is also the DSU that brings together the leaders of all of the college JCRs, including Castle’s Senior Student, to discuss relevant student issues and lobby the university. Directing the work of the Student Officers and the union and debating policy affecting students’ lives at Durham University is Assembly, which is the highest democratic body in the Union and meets 8 times a year. For more information or any questions, contact Castle’s Union Rep. Beyond the DSU there are also lots of other university-wide groups – Student Community Action runs a university-wide volunteering programme, Team Durham organises university sport and manages the university’s Maiden Castle Sports Centre, Durham Student Theatre (DST) supports the majority of student-run theatre in Durham and Music Durham coordinates a large portion of music-making within the university community. Getting involved in university-wide groups is a great way to get involved, meet new people and get the most out of university life.